STARFRIDAY : Tissot Chrono XL Classic Virat Kohli Special Edition with its Brand Ambassador Virat Kohli. Tissot Chrono XL Classic Virat Kohli Special Edition with its Brand Ambassador Virat Kohli. 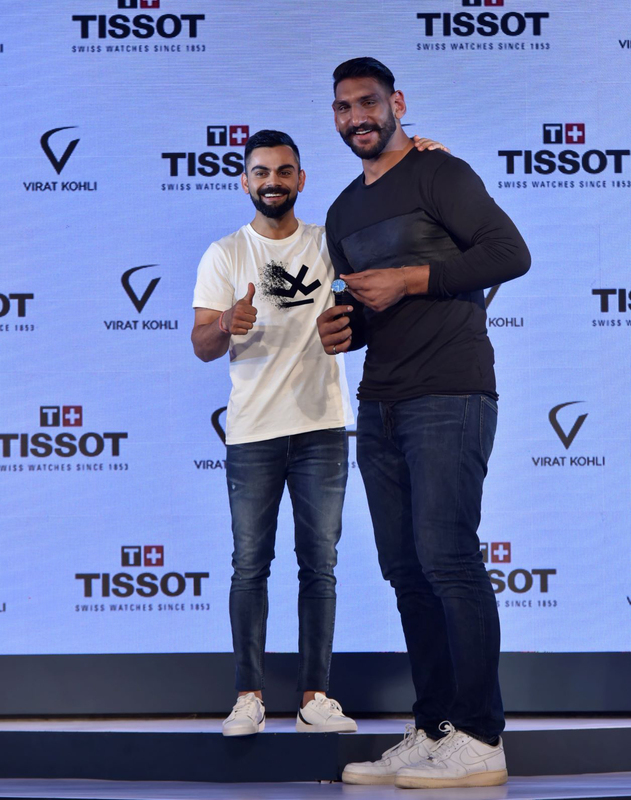 Tissot, the largest traditional Swiss watch brand based on volume, launched the Tissot Chrono XL Classic Virat Kohli Special Edition with its Brand Ambassador Virat Kohli. 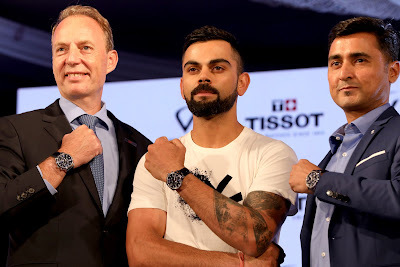 Speaking on the occasion, Virat Kohli expressed, “I’m thrilled to launch a personalized Tissot Chrono XL Classic edition. My three years of association with Tissot have been a wonderful journey. I was totally involved in the designing of this line and I hope you all like it as much as we do.” The watch will be in stores from October 2018 onwards. 8 Sports Athletes - Satnam Singh, Karman Kaur Thandi, Aadil Bedi, Shivani Kataria, Sachika Kumar Ingale, Jehan Daruwala, Pinky Rani, Manoj Kumar were also presented the Tissot Chrono XL Classic Virat Kohli Special Edition by Virat.